Editor’s note: Reprinted courtesy of The Circle. The Minneapolis American Indian Center (MAIC) launched a major fundraising drive in January for new roofing, other repairs, and to make improvements to help the center provide services for the community. Mary LaGarde, the MAIC’s executive director, said in late December she was still assembling a committee of civic officials, American Indian leaders and other backers to conduct the drive. The center has secured $5.5 million of the $15.2 million project, LaGarde said. That includes $5 million provided by the Minnesota Legislature in the past year’s State Bonding Bill and a $500,000 grant from the Margaret A. Cargill Foundation. Most of the project involves modernizing equipment, such as electrical, heating and air conditioning, and repair or replacement of the leaking roof. The center, at 1530 E. Franklin Ave., was built in 1975 and shows the impact of more than 40 years of constant use. 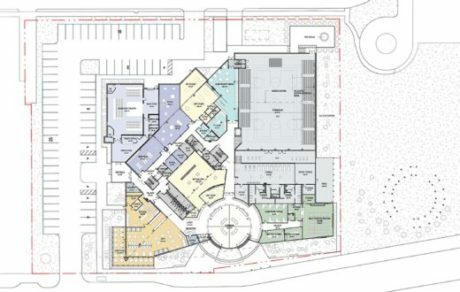 Improvements, however, involve adding space to the 47,000-square-foot building and moving entrances closer to Franklin Ave. and its American Indian Cultural Corridor. 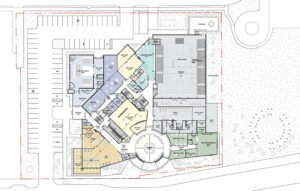 This was designed to encourage more foot traffic for visitors to the center’s restaurant, art gallery, gift shop and the programs that use center meeting rooms, gymnasium and other facilities. In materials prepared for the pending fund drive, the center stresses the need to update the 1970s era electrical, communications and accessibility equipment. The building structure itself needs a more modern sustainable design and energy efficiency, and expanded office, program and meeting spaces to better utilize existing space. The state grant was part of the $1.4 billion State Bonding Bill that included $24 million for various American Indian and culturally related facilities throughout the state. The Margaret A. Cargill Foundation grant, meanwhile, deserves recognition in Indian Country because it does much to aid indigenous and underserved populations. And, from its founding onward, it does so while keeping an extremely low public profile. That foundation is one of three philanthropic entities administered by Margaret A. Cargill Philanthropies (MACP), based in Eden Prairie. Margaret Cargill (1920-2006) was an extremely private person, a granddaughter and heir of Cargill Inc.’s founder, who did much of her early philanthropic work anonymously. MACP’s website reminds groups that the foundations do not accept unsolicited grant requests. The staff finds groups and programs that are consistent with the foundations’ goals and then steps forward to help. “All this we do, not to bring recognition to ourselves, but to support our grantees in the work they do to provide meaningful assistance and support to society, the arts, and the environment, in a manner consistent with our founder’s wishes and intent,” the website explains. Among its grantmaking areas of interests are support of Native arts and cultures of the Upper Midwest, Montana, Idaho, the Pacific Northwest, and the Southwest. In doing so, the foundations explain, they help artists and groups that continue and strengthen cultural practices among Native peoples.